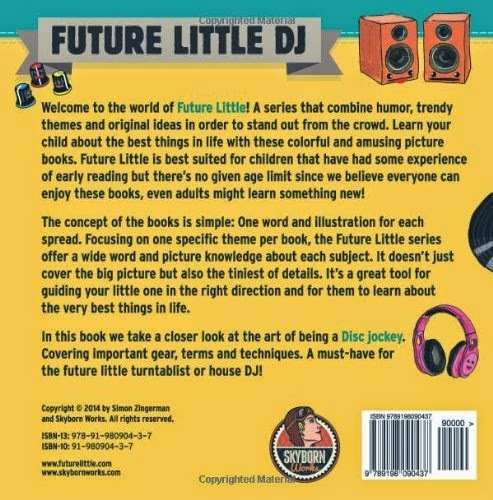 In Future Little DJ we take a closer look at the art of being a Disc jockey. Covering important gear, terms and techniques. 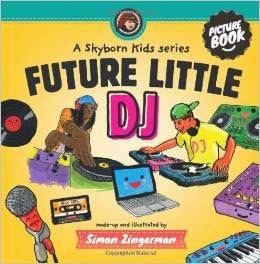 A must-have for the future little turntablist or house DJ! Price: $8.50 on AmazonWhy It’s An Awesome Read: The Hacienda – better known as the monumental Manchester club where acid house took off in the 1980s – is one of the cornerstones of modern club and DJ culture. In this book, Joy Division/New Order’s Peter Hook tells the story of the club (of which he was a co-owner), its incredible success, and equally incredible failure in the 90s. Why It’s An Awesome Read: A lot of current media about DJs revolves around the evolution of electronic dance music from the raves of the early nineties to the ragers of today – so to have the story of a completely different music genre revolve around DJs is always refreshing. Mark Katz’s book is on point, with a history of hip-hop that stars the DJs as the central founders, proponents, and innovators of the field. Why It’s An Awesome Read: As with a lot of modern creators, DJs have to be part technician and part artist – and How To DJ Right is a textbook for DJs (experienced and amateur) who want to excel at both concurrently. It’s both simple enough for beginners to understand and fundamentally powerful enough for DJs who have been around the block to still get value out of a read. Forget reading any “Learn how to DJ in 3 hours!” book and read this first. Why It’s An Awesome Read: This most recent publication from this tag-team of DJ music journalists who penned the two books prior takes the focus away from the technical and historical and instead relies on the DJs themselves who build DJ history to tell their own stories. It’s a natural follow up to Last Night A DJ Saved My Life, complete with “a collection of firsthand accounts from the obsessives, the playboys, and the eccentrics that dominated the music scene and contributed to the evolution of DJ culture”. Why It’s An Awesome Read: There’s little doubt thatEntroducing… fundamentally changed the landscape of sampling – which is what makes it a great subject for this edition of 33 1/3, a series that canonizes classic albums. In this book, you really get a sense of who Josh Davis (DJ Shadow) is, and what the mix of circumstances, skills, and passion were in his life that allowed the creation of Entroducing…. Why It’s An Awesome Read: This tome by Rick Snoman is used as a textbook in a lot of electronic music production classes simply because it’s one of the best written introductions to the topic. It covers a breadth of subjects and genres – and really gets to the core of how to take a desire to write/create dance music and turn it into actual songs. From learning the basics of audio, to synth programming, to remixing and sampling, if you’re looking to start down the production road, this makes for an ideal starting point. Könyvek -de főleg books- itt olvashatók!